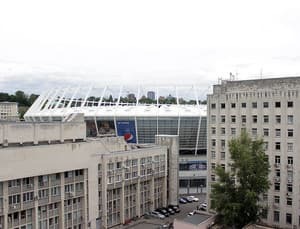 One-room apartments in the center of Kiev are located near the shopping and entertainment center "Mandarin Plaza" and the Bessarabian market. The nearest metro station is Leo Tolstoy. 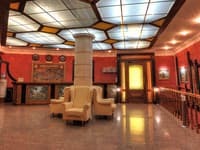 Guests are accommodated at the reception at Lutheranskaya 6 b, office 40 (Khreshchatyk metro station) from 10:00 to 19:00. If the settlement from 19:00 to 10:00 keys must be taken from the concierge at ul Basseynaya, 5A. 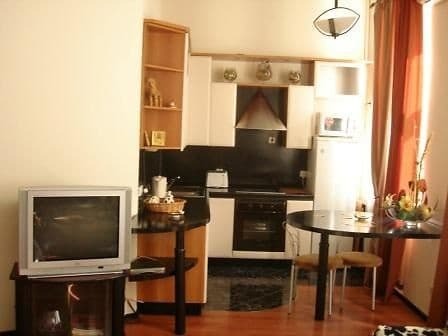 The apartment is equipped with all necessary furniture and appliances for a comfortable stay. The apartments provide free Wi-Fi and parking. You can order a transfer from the airport or railway station directly to the reserved apartments. The distance from the railway station is 3.2 km and 37 km from Boryspil Airport. Also in the apartments offer and services for cleaning apartments, cooking, washing and replacing bed linen. 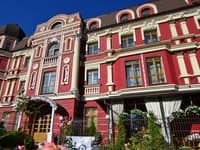 The apartment is located 10 minutes from the main attractions of Kiev-Mariinsky Park, Water Museum, Golden Gate, Andrew's descent and many others. Near the apartment there are cafes, restaurants. 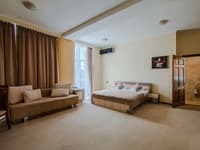 Description of the room: The apartment is located in the very center of Kiev. Spacious apartment, modern interior, includes a large double bed, modern and very comfortable sofa (which can be folded into the second double room if desired), a table for work or a pleasant dinner and a large widescreen TV with many domestic and foreign channels. Comfortable temperature in the apartment is supported by a powerful modern air conditioner. The house is located in the heart of the city. Near the house there is a shopping and entertainment center "MANDARIN PLAZA", Bessarabsky market. The nearest metro station is Leo Tolstoy.